Proportion of coal in the global fuel mix has remained unchanged over 20 years, Bob Dudley, group chief executive of BP, said during the One Young World Summit. “We can expect energy demand to rise by around a third by 2040. That’s like adding a whole new China and a whole new Europe’s worth of energy demand on top of what’s required today,” he said. Dudley said that’s an enormous challenge – and it’s only half the story. “The other half is that we need to bring greenhouse gas emissions down dramatically and quickly to tackle the threat of climate change,” he said. 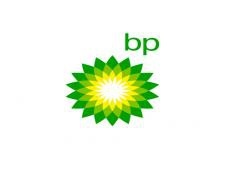 The group chief executive of BP pointed out that after three years when emissions stayed relatively flat they started going up again last year and they look set to rise again this year. “So, on the one hand we’ve got to provide much more energy than ever before. And on the other we have to lower emissions drastically,” he said. Dudley noted that back in 1998, coal made up 38 percent of the global fuel mix in the power sector and the same figure was recorded in 2017. He went on to add that in the US, replacing coal with gas in power generation has helped bring emissions back down to where they were in the early 1990s. “In the UK the change is even more dramatic. Emissions are back where they were in the 1890s, when Queen Victoria was on the throne. Gas has made a big contribution to those reductions because it emits half the carbon of coal when burned to produce power,” said Dudley.